Long Beach, California – June 9, 2016 – GainSaver solves the problems of Macbook Air shoppers who are searching for a good deal on a reliable Macbook Air laptop computer, and who want to do their part to reduce environmental pollution and cut energy consumption. GainSaver now has a large stock of hard to find refurbished Macbook Air 13.3-inch, 1.8GHZ Dual Core i7 laptops in excellent condition. These refurbished Mid 2011 Macbook Airs, Apple Part MD226LL/A, are a top quality, low cost alternative to a buying a new Mac laptop. They are on sale now for only $597.55, with monthly payments starting at $53 per month for qualified buyers. The Macbook Air MD226LL/A was designed by Apple to be environmentally sound. GainSaver further helps customers reduce the impact of computers on the environment by giving them the option of installing a dual operating system that supports both the Mac IOS and Windows. With a laptop that supports the two most popular software platforms on a single computer, GainSaver customers don’t need an additional computer to run Windows. Purchasing a Macbook Air with both operating systems, they essentially get two computers for the price of one, which further benefits the environment. Apple is famous for its well designed and manufactured products. Mac desktops and laptops provide many years of service. The Macbook Air MD226LL/A laptops GainSaver is offering are an excellent example. These units are in perfect operating condition and perform like new. They offer a service life equivalent to a new laptop. An important consideration for buyers is that the Macbook Air MD226LL/A incorporates an SSD Flash Drive for incredibly reliable data storage. No other online seller of refurbished computers protects their customers from equipment problems like GainSaver. GainSaver backs all of its refurbished products with a 30 Day Money Back Guarantee. Customers can return their purchases for any reason for 30 days. In addition, GainSaver provides the longest warranty coverage in the industry with a 180 Day Warranty that is included at no extra charge. GainSaver takes the hassle out of buying used equipment. There is no bidding for Macbook Air shoppers to contend with, no need to give strangers personal information like email address or phone number, and no risky meetings with private sellers. GainSaver makes shopping for refurbished computers as fast and simple as buying a new computer. 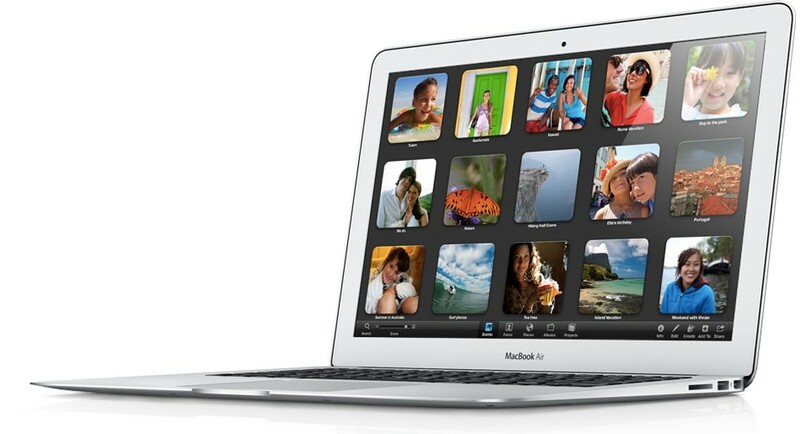 Customers can choose the Macbook Air they want from a wide selection of models. To buy more than one, they simply set the quantity they want to purchase, and click check out. GainSaver offers custom hardware configurations of all refurbished Mac desktop and laptop computers, including the Macbook Air MD226LL/A. At checkout, customers can select to have GainSaver upgrade the 256GB Flash Drive in the MD226LL/A to a 480GB Flash Drive. The additional hard drive capacity is useful for customers who plan to store images, videos and large business data files on their Macbook Air. While supplies last, Macbook Air MD226LL/A laptops in Excellent Condition are on sale for only $597.55. Purchase includes the GainSaver 30 Day Guarantee, 180 Day Warranty and a $25 Gift Card for future purchases at GainSaver. Monthly payments are also available starting as low as $53 per month. GainSaver is a premiere online reseller of refurbished Apple products, including Macbook Air, Macbook Pro, iMac, Mac Pro and Mac mini computers, as well as refurbished iPhones and iPads. With a huge selection of products and advanced website shopping tools, GainSaver makes buying previously owned electronics as simple and safe as buying new. Our services help to support the environment by reusing and recycling electronics, and also provide a source of reliable, low cost refurbished Apple computer equipment to our customers. GainSaver goes beyond the competition with custom hardware and software configuration, extended warranties, and the ability of customers to purchase with low monthly payments. GainSaver supports its customers with a 30 Day Money Back Guarantee on all refurbished items, and provides an industry-exclusive 180 Day Warranty on all refurbished desktops, laptops, tablets and phones. GainSaver technicians have years experience servicing and custom configuring Apple equipment.